June SCHRA Chapter Meeting – What Do People Say About You When You Leave the Room? What kind of impression do you make on others? What do you want to be known for? Discover how to harness the power of a personal brand and how to let others know what they do best. 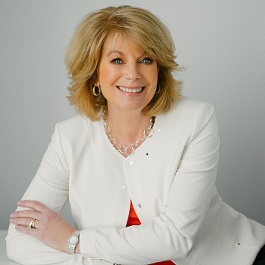 Executive Coach and Communications Consultant Margo Myers helps high achievers who are ready to do what it takes to get promoted and take their place as leaders making big impact. Her zone of genius includes communication and presentation skills, leadership development, executive presence, and media training. As a former award-winning TV news anchor at KOMO TV and KIRO TV in Seattle, Margo has covered everything from the downfall of General Manuel Noriega in Panama with U.S. Army troops to the WTO riots in Seattle. She’s flown with the Navy’s Blue Angels, danced with the Seattle Mariners groundskeepers and learned to scuba dive all in search of a good story. Margo is the Principal at Margo Myers Communications, and holds her coaching certification from the Hudson Institute in Santa Barbara, California. She also has her Associate Certified Coach (ACC) credential from the International Coach Federation and served as a Life Reimagined coach for AARP, coaching clients around the world. Margo graduated with honors from Washington State University, with a Journalism degree from the Murrow College of Communication. She has also served in leadership positions on several boards, including the Seafair Board of Directors, and the WSU Foundation Board of Trustees. When she’s not working, you’ll find Margo boating on the waters of Puget Sound with her husband. She loves a good mystery book, is partial to a glass of Washington state’s ‘red blends,’ and considers popcorn its own food group. COPYRIGHT © 2019 SCHRA. Custom website design by Rocketship.